In the 1880s, American Standard pioneered clean and affordable heating for the home. From the earliest cast-iron radiators to today’s highly efficient heating and cooling systems, the American Standard Heating & Air Conditioning brand has been synonymous with home comfort. American Standard manufactures furnaces, air conditioners, humidifiers, air quality solutions, packaged units, controls, heat pumps, air handlers and more. Many of which are energy star qualified. The silver series ranges from 13 to 14 seer single stage (on most models) units with basic functions and features. The gold series ranges from 14 to 15 seer single stage (on most models) units with added features like rust resistant coating and Spine Fin™ coils and Duration™ compressors on some models. The platinum series ranges from 16 to 20 seer , dual stage dual compressors, rust resistant coating, Spine Fin™ coils , Duration™ compressors and the Acculink™ communication system on some models. 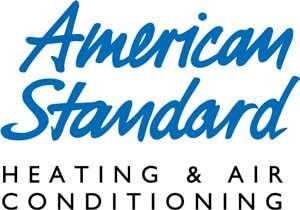 American Standard requires registration online within 60 days, like most companies, and warranty’s* range from 10 Year limited warranty* on compressor, 10 Year limited warranty* on outdoor coil, and 10 Year limited warranty* on internal functional parts on the lower end to an added 2 years compressor warranty* on higher end models. When it comes to installing, servicing, or repairing an American Standard air conditioner or furnace choose the experts, Max Mechanical. We service Arlington, Dallas, Fort Worth and the entire DFW area. Do you need a quote on installing a new American Standard air conditioning unit in your home or business?Call 817-459-4100 or Contact us online for a free estimate. Are you looking for American Standard replacement parts for your HAVC or furnace? Call Max Mechanical, the American Standard repair specialists, at 817-459-4100 or contact us online for a price quote.